If you imagined a game that has every feature you ever wanted in an RPG and you’d be pretty close to Tangledeep, the dungeon-crawling, roguelike RPG from developer Impact Gameworks. Tangledeep seeks to recall the wonder and brilliance of 16-bit RPGs from the SNES days and it does so on pretty much every level. With game mechanic features ranging from a familiar and unique class system, to vast arrays of items and loot, Tangledeep breathes new life into an outdated system and adds modern game design features to remove some of the tedium of older games. Fans of Secret of Mana, Chrono Trigger, and Diablo all find a home in the depths of Tangledeep. 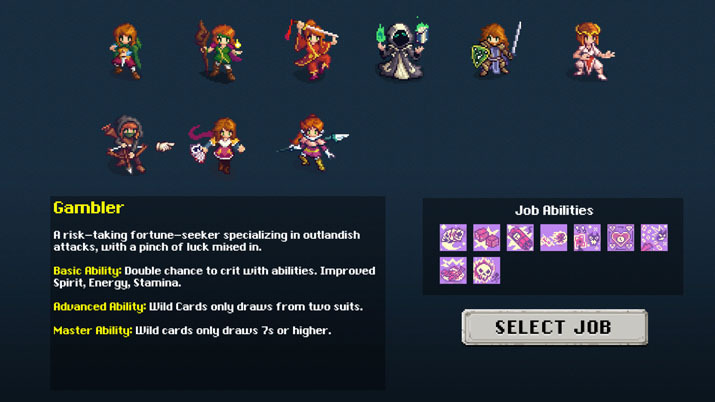 You start off choosing one of ten different jobs, each with unique gameplay features, making replay value extremely high and variegated. Tangledeep recommends you choose Heroic Mode difficulty, which features Permadeath. Playing through multiple characters and classes, the permadeath feature adds a much desired tension for survival. Players can store up to two hundred items and limitless gold in a bank, and this carries over to your next character once you die. This lets you plan future character builds as you explore the depths of Tangledeep and further strengthens replayability. While there isn’t much story to go on, the drive to explore the dungeon and reach new levels is more than enough entertainment to warrant the price tag. You try to explore the dungeon as far as you can, and with the highest level reached displayed at startup, the desire to beat your own score becomes the story. Finding new ways to beat enemies through weapon and armor combos, along with learned skills, keeps you pumping through the dungeons, level after level. There were some bugs and quirks, and one market bug I found made gold completely irrelevant (you could just sell the same item over and over and continue to get the gold). Outside of this, the only things I noticed had to do with the map and tiles, and some odd pathing, but nothing that can’t be ironed out in an update. In terms of quality and development polish, Tangledeep is leaps and bounds ahead of most Early Access games that get pushed through. 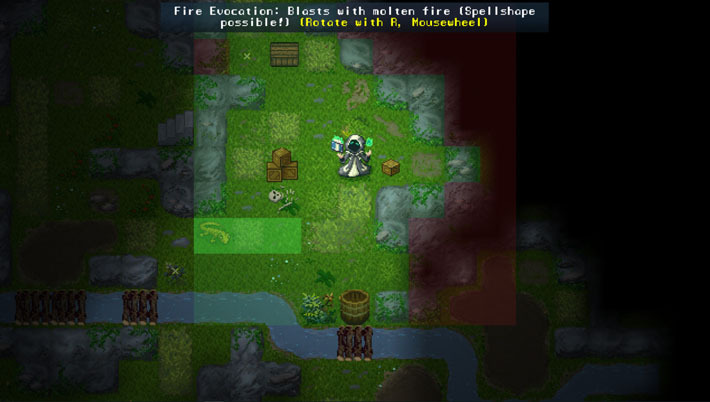 Gameplay is roguelike turn-based, so every time you take a step or action, the enemies around you do so as well. This lets you plan your moves and attacks out in a thoughtful way. There is no twitch gameplay here: you could leave your computer in the middle of a dungeon and come back right where you left off. Enemies seem mostly random, but they increase in difficulty and change depending on the environment. There are bosses, which are commonly more difficult versions of the enemies you were facing in that level. The dungeons levels themselves are maze-like, with environmental hazards, secret doors and chambers, treasure chests, and stairs to hidden levels. As you make your way higher and higher through the dungeon, you eventually need to go back to town using the portal spell which every character has access to, letting you go back to town to sell and rest then return right where you left off ready to go. Tangledeep has a bunch of extra features outside the main gameplay that remind us of a multitude of classic RPGs. There’s a Pokemon-like monster zoo feature where you can capture wild monsters and rear them for your own combat purposes. Eggs bought or found hatch into pets that travel around the dungeon with you and have special abilities tied to them. There’s a garden for growing trees and plants, and even an unknown mystery device that is just begging to be figured out. Put Tangledeep into a cartridge and you’d almost never know it wasn’t made in the 90s for Super Nintendo. The nostalgic factor alone is worth picking up this title, combined with the art and music and you’ve got a brand new classic game. There is enough here to satisfy any fan of RPGs new and old. I’d even say it’s a great game to introduce the very idea of roguelike RPGs to someone, as it hits basically every point without being overly tedious and frustrating. Tangledeep is like the platonic ideal of RPGs: it has everything you want in a dungeon crawling roguelike without all the mess of outdated graphics or frustrating UI. The gem evokes memories of 16-bit Super Nintendo RPGs from back in the day. Do yourself a favor, grab Tangledeep before it gets more popular, and just try it for a couple twenty hours. Did I mention there’s great replay value?